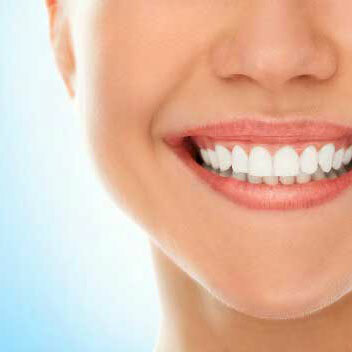 At Smiley Dental Group, our goal is to provide dentistry that is undetectable. We can fix broken teeth and we replace existing crowns and fillings with restorations that look and feel like your natural teeth. If you are missing teeth, or if your teeth are damaged beyond repair, we can use porcelain crowns to restore your smile. The crown will look and feel natural, without hooks or clasps, and stay in place permanently, allowing for totally normal function. Our Smiley Dental Group team is renowned for the quality of our work and the positive changes we make for patients using this technology. Crowns are an extremely reliable technique for repairing the most serious of dental problems. All of your teeth play an important role in speaking, chewing and maintaining proper alignment of other teeth. Tooth loss does not necessarily have to occur as you age, but if you do lose teeth, they should be replaced to maintain proper function of your mouth and your facial cosmetics. At Smiley Dental Group, we may recommend a bridge as an option for correcting tooth loss. As the name suggests, a bridge is actually fixed to the missing tooth’s neighboring teeth with tooth-colored crowns, allowing it to blend seamlessly with your natural smile. Bridges are either permanently attached (fixed bridges) or they can be removable. Fixed bridges are applied by either placing crowns on the abutment teeth or by bonding the artificial teeth directly to the abutment teeth. Removable bridges are attached to the teeth with metal clasps or by precision attachments. Removable bridges, as the name implies, can be taken out. Oral function and appearance are important reasons for wearing a bridge. Increased risk of gum disease has proven to be one of the worst side effects of missing teeth and can be minimized with a bridge. A bridge also helps support your lips and cheeks. The loss of a back tooth may cause your cheeks to sink and your face to look older. Drs. Smiley and Holowicki will work with you to determine the best treatment plan for your dental health to help create a smile you will proud to show off every day.